Deep sea fishing is a unique sport combing high adrenaline adventure with a truly primal pastime. It provides a rush of excitement for many people around the world. Being out there in the deep sea, surrounded by countless big sea creatures like swordfish and sharks is itself an exhilarating experience. Done in waters 30 ft. or deeper, deep sea fishing give anglers the opportunity to catch big game fish that are just not found in shallow waters. Reeling in such huge catches is an experience of a lifetime and a thrill for any angler. Much of the excitement in this experience is the fact that you never know what will come up at the end of the line. Numerous locations are great for deep sea fishing. However, some notable destinations out perform the others. Our 7 choices are renowned and astounding spots, most of which have year-round fishing. The sport fishing opportunities here are phenomenal and memorable. You get to engage in the battle of a lifetime with apex predators like wahoo and swordfish. So for your next fishing vacation, consider these 7 best destinations for deep sea fishing. Mozambique is an extraordinary fishing destination and is well known for Marlin fishing. Located on the eastern coast of Africa, it is a beautiful place and a popular destination for anglers from across the world. It offers some of the world’s finest deep sea fishing and some quite challenging big game fishing. Some of the popular species found here include the queenfish, giant trevally, tuna, sailfish, and the dorado. The deep waters of the Mozambique Channel, in particular, are famous for large game fish weighing over 1000 lbs. Fishing around the Quirimbas, Inhaca, Pemba, Bazaruto, and Nacala islands is always amazing. If you’re a fishing fanatic and want to take your deep sea fishing to a whole new level, there’s no better place than Victoria. From large game fish to thresher sharks and mako, these waters offer anglers a truly unique experience and give them the opportunity to explore some the biggest species that the sea has to offer. Located in southeastern Australia, Victoria is probably the best place in all of Australia to to deep sea fish. There are some amazing all shark species from Hammerhead to Bronze Whaler and many more. Many anglers consider these incredible animals as the pinnacle of sportfishing. Florida is America’s best deep sea fishing state. With clear blue waters and warm tropical weather, Florida Keys is the perfect habitat for big game fish and fishing bums. Off the shores of the Keys, the Gulf Stream waters offer a miscellany of game fish including marlin, sailfish, snapper, swordfish, wahoo, cobia, and tuna. You can also find sharks and barracudas in the Marquesas Keys. The blue skies and warm weather make angling here a wonderful experience. From experts to novices, the Florida Keys has something to offer all year round. The breathtaking scenery and Madeira’s location along major migratory routes of an extensive variety of some of the largest fish make it one of the best deep sea fishing spots worldwide. The pleasant warm tropical climate and the calm blue waters create the ideal mood for the hunt. Whether you’re a veteran angler looking to make a world record catch or a novice fishing for adventure, Madeira will give you the ultimate fishing experience. 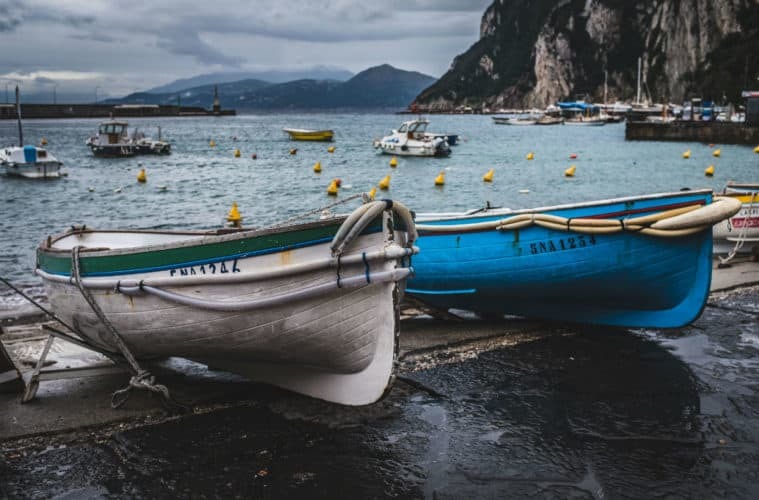 Due to its geographic location and deep waters, the island is home to thousands of fish species including blue and white marlin, tuna, spearfish, albacore, small sharks, wahoo, and swordfish. Apart from being a great fishing destination, this island is also one of the most attractive destinations and tourists flock here throughout the year. Phuket is one of Thailand’s top tourist destinations famous for its white sandy beaches, diving, and the sun. However, it is also an extraordinary destination for deep sea fishing. Blessed with a tropical climate and pleasant weather conditions, the mountainous island offers exemplary game fishing and beautiful sceneries. Therefore, if you’re torn between an exquisite beach holiday and a great deep sea fishing trip, Phuket can offer you both. The Racha, Similan, and Andaman islands offer an array of big game species including Barracuda, Tunas, Sailfish, Black and Blue Marlin, Mackerel, queenfish, giant trevally, dorado, and wahoo. Phuket has a strict “catch and release” rule hence will probably remain one of the best destinations for fishing for years to come. The rich coastlines of Costa Rica offer some of the best deep sea fishing in the world. From Limón to Puntarenas, each coast is distinctively different giving anglers a different feel and a wide variety of fish species. On the Caribbean side, you will find mackerel, jack crevalle, snooks and tarpons while the Pacific side is renowned for roosterfish, marlin, dorado, wahoo, snapper, tuna, and more. Costa Rica is every angler’s dream fishing destination. The diverse coastlines provide a chance to use several fishing techniques to land the best catch of your life. Both coastlines are blessed with excellent weather and friendly people who are very hospitable and eager to teach anglers the wonders of deep sea fishing. Cabo is a hotbed for deep sea fishing and the ultimate destination for any traveling angler. Located in the southern part of the Baja California Sur, the spot offers once-in-a-lifetime fishing experiences. It is positioned right at the point where the Sea of Cortez meets the Pacific Ocean, with deep waters just a few miles from the shore. The authorities have strict rules and regulations, and this helps to maintain the array of species in the Mexican waters. You can catch tuna, wahoo, snapper, marlin, billfish, mahi mahi, and other species all year round but the peak season is between May and December. Therefore, whether you are going to participate in a sportfishing tournament or just heading out on the fishing charters, you can expect a spectacular fishing experience. Deep sea fishing is indeed a unique and exciting adventure that every fishing enthusiast should experience even if it’s just once in their life. From unique big species to exquisite scenerie, deep sea fishing gives you an exhilarating experience. So, the next time you organize a fishing trip with your buddies, consider deep sea fishing in one of these destinations. The thrill and incredible experience will leave you speechless. If you’re a fishing enthusiast, you already know that the most captivating fishing stories originate from the deep sea. Therefore, why not pursue your own fantastic story to tell.